We are delighted to announce that Jed Mercurio – writer of the hugely popular Line of Duty, Bodyguard, Critical, Bodies, The Grimleys and Cardiac Arrest – will be taking to the Harrogate stage in July. 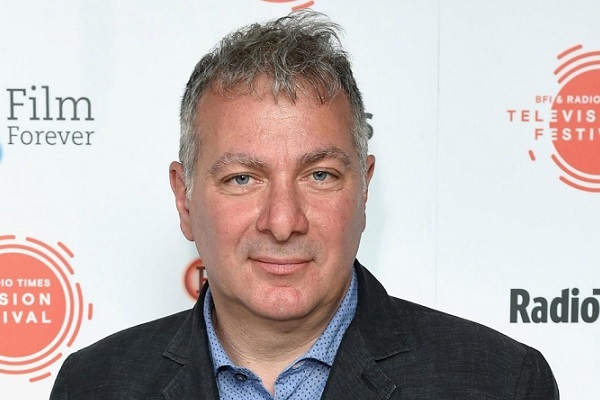 Jed Mercurio trained at the University of Birmingham Medical School and practised as a junior doctor before becoming a full-time writer in 1994. As a writer, producer and director his TV credits include the highly successful shows mentioned above, as well as adaptions of Frankenstein and Lady Chatterley’s Lover. He has been described by the Telegraph as ‘the most successful writer working in television today’ and by the Independent as ‘the master of British Drama’. Mercurio is the author of three novels, Bodies, Ascent and American Adulterer, all of which explore the dangers of institutional corruption and reckless ambition that readers will recognise as a signature of Mercurio’s TV writing. Mercurio’s novels will be reissued by Vintage in Spring 2019.